Last week we discussed some of the basics on how to recognize the prophetic burden of the Lord. This week we will discuss how to be misled into thinking that a burden is prophetic when it is really our own concern or a burden someone else has put on us. Many have a hard time understanding and some are even offended by the principle that prophecy is rarely intended to be “an exact science.” It is not a science and cannot be learned by certain principles. It is all about relationship. There are principles that we’ve learned from experience, but there are exceptions that should keep us both open and humble. Occasionally a prophetic word is absolutely clear, specific, and accurate, but this is rare. This is true even of biblical prophecies. The Lord could have been much more clear and specific with almost every prophecy in Scripture. He could have told in detail about Hitler or others, and given us a specific timeline of events, but He did not—for our sakes. As we are told in I Corinthians 13:9, we “see in part, know in part, and prophesy in part,” which means that no one has the whole picture. Even if what we have is very specific and clear, it is not the whole picture. This is why whenever the Lord speaks of revealing things to His prophets, that word is always plural, not singular. The Lord has composed His body so that we need each other and should therefore also love each other. He has also composed this ministry to require humility and openness to others. Those who lose this inevitably go awry. Now let’s get back to the burden of the Lord. If we are going to be trusted with this, we must learn to distinguish between our own feelings and that which is being given to us by the Holy Spirit. One of the great examples of how the main thing on our own heart may not be what God has called us to is the Apostle Paul. He loved his own people, the Jews, so much that he said he would even give up his own salvation if it would lead them to the Lord. However, even with such great love for his people, God did not call Paul to the Jews but to the Gentiles. 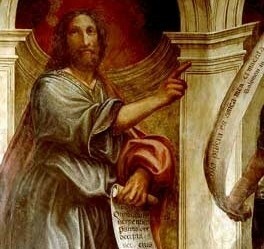 He might have done this because He knew Paul’s great affection for his own people could cloud his judgment and message. Think about how the Lord sent Paul to the Gentiles and Peter to the Jews. Doesn’t it seem that the Lord got this backwards? Wouldn’t Paul, who had been the disciple of one of Israel’s most esteemed teachers and who was a “Pharisee of Pharisees,” be much more respected and accepted by the Jews? Peter, a simple fisherman, was an offense to the Jews to whom he was called, and likewise, Paul was an offense to the Gentiles to whom he was called. What this did was cast both of these apostles upon total dependency on the Holy Spirit to accomplish their purposes. It seems inevitable that a businessperson will feel a calling to the business community, or someone coming out of the drug culture will feel called to those with whom they are so familiar. Often people feel that their calling is to their own racial group, but I have rarely seen this to be the Lord. The Lord will use it, and fruit can come from it, but usually this burden that we feel is more rooted in a yoke called “the tyranny of the familiar” than it is the burden of the Lord. Of course, there are exceptions to this, but if we would allow the Lord to lead us to places where we are cast in total dependence on Him, we would experience Him much more than we do now. Sometimes our own natural love and affection can so cloud our perception that it can also distort what we think is the word of the Lord or the burden of the Lord. For this reason, I do not trust prophetic revelation about people I have a strong natural tie to without really putting it to the test. Neither do I trust any negative revelation I might receive about those who have in any way offended or hurt me. Again, because the prophetic is not intended to be an exact science, these are principles and not laws. With laws there are no exceptions, but with principles there are always exceptions. However, we need to learn to distinguish what is coming from our own natural affections and what is coming from the Holy Spirit. The only way I have ever seen that we can do this is through experience and maturity. It’s a relationship thing, not a science. If you are a thinking person, this has probably led you to many other questions. That is good. There are answers for those who care enough to pursue them. The Lord does not hide things from us, but He hides them for us. Those who care about Him and His purposes will not be stopped by questions or mistakes. The more mature and experienced we become, the more quickly and accurately we will be able to discern between what our own burden is and what the burden of the Lord is. If we are going to be trusted with important revelation, we must have the integrity and maturity to be willing to question what we’re feeling. One of the biggest traps and ultimate forms of pride is for us to start thinking that what we think or feel about something is what God thinks or feels about it. At best, we are seeing in part. If we can embrace this humility, we can be trusted with much more.